Recipient Selected for the "What Do You Need?" Donation! A generous donor offered one struggling homeschool family their choice of curriculum. The recipient was chosen using an application-based process, based on the donor's criteria for selection, and here is the official announcement! The actual application page for the donation is here in case you missed it. specifically wanted to bless the family with something they needed within the dollar amount provided, in this case, $100. also wanted to provide the newbie a resource book for reference. Out of 114 applicants, there was only one family who fit the donor's criteria perfectly. The recipient chosen for this donation explained that her family had recently been thrown for a loop with a sudden series of financially devastating events. Her son is a reluctant reader, and she is having trouble doing it on her own. She requested just the basic package of the All About Reading Pre-Reading program, which costs $79.95 plus $9.95 shipping. 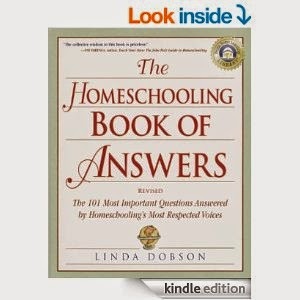 She will receive her request, and also will receive a paperback copy of the book, The Homeschooling Book of Answers: The 101 Most Important Questions Answered by Homeschooling's Most Respected Voices by Linda Dobson which I was able to find for $4.91 plus $3.99 shipping on Amazon.com. The grand total of this donation came to $98.80, fitting perfectly within the budget of the donor. The remaining $1.20 of the donation amount will remain in the organization's fundraising account for future use for the purchase/shipping costs of new curriculum for families in need. If you weren't chosen this time, please apply again! Make sure you're signed up for email notifications from the blog, so you won't miss it. We hope that we will be able to offer more donations such as this really soon! The application process is simple and easy, and your private information is kept confidential. We are sorry we couldn't help everyone. Would you like to donate to this organization? Click here for more information, or contact us to find out how to offer a donation of your choosing.